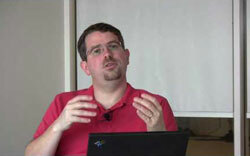 The other day I was listening to the video of Matt Cutts for the Google I/O 2010 series where he was giving some serious advice to the website owners who had submitted their websites for review. I found the video informative and worth mentioning. He discussed all the ingredients you may need to make a website rank well during his presentation. The points below were mentioned as well and their are bits and pieces of information and advice given to have a better ranked website or blog. Its always good to have your home page designed with keyword rich text on it. If you have a well designed website but no text it won’t help you in any way on the search engines. 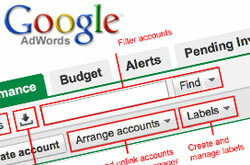 Think about the keywords you think the end users would type to reach you and then ensure they are on your homepage. Simple rule – always have your potential keywords in text. Even sentences / text that need not be ranked as well can be in text. You might be tempted to add a lot more other keywords on your website although you know that they are not your niche keywords, but just somewhat related. Don’t just add keywords because you want to fill in your meta keywords with lots and lots of keywords! Don’t be under the impression that Google indexes meta text. It does not. So don’t assume placing keywords in your meta tags will help you rank. Here is another very typical problem we have. You are the author / website owner of a website with great photos and ideas of sorts, but not sure how well you can actually describe the photos. Well it is time to start. Like i said in #1, you definitely need good text to support your picture, so make sure you to add the ALT image text. Another cool thing is to add a feature like “User comments” on your website, so that helps you actually get keywords (albeit unknowingly) that the end users will type. Also, all the grind will be done for you through right reviews. Yeah, you read it right. If you are using blogging tools like WordPress then make sure that your WordPress is updated. Get your WordPress blog up to date with the latest version circulating on the internet along with the cool (or not so cool?) plug-ins. Remember they are free and help your blog or website rank better. The basic aspect in designing is to have your website ‘in line’ with most popular browsers. By that I mean, maybe your website has got great content to show, and an awesome banner that says it all. But, what if the most popular browser does not actually display the content but the whole banner instead? Maybe its time you check out the design and the CSS you’ve used. Well, this is something you ought to take care of. Make sure your description has the best of the best keywords as some search engines may certainly ignore most of the content after say a few 100 characters. Short and sweet, hope you get the point. When you have a blog, do not just lose focus. By that I mean, just don’t get your business blog to become more personal to say , “Hey, I am throwing in a party for whatsoever reason and I want to you to fill the form below so I can make a head count of the number of people here. You did your SEO right, but there is always a chance that you might have not chosen the right keywords. So how do you do that? The best way is to use the keyword tool from Google or even better, go figure it out from the server log file! You can find out who typed what to come up to your website. I guess that is something cool. If you are using CMS I guess you have the option to use SEO friendly URLs option in it. If not its wise to use the dash rather than underscore as dash (-) is treated as 2 terms rather than 1 as in the underscore (_). For example, A_B would be one term whereas A-B will be treated as 2 terms. Advantage? Well, simply put – you get a choice of more terms to search. So isn’t that pretty simple math? Well that wraps up my 10 favorite points from Matt Cutt’s Google Website Tip Video. I hope you evaluate your current website and enjoy putting these tips to great use! Thanks Priya for the detailed information on the Video. 1. You can also go for .info domain as the .com domain is almost exhausted. Eg Singhal.info. 5. 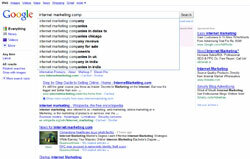 Dont make the website for Search Engine, create it for users. 6. Be Natural. Don't Spam it will get caught and be penalised. This is interesting. Never thought that the middle age – old generation would most definitely lap up social info. Maybe its the advent of the electronic media and also could be the curiosity generated in them. Ah, those were very good tips from the legend Matts. Nice to know cool features like blogging and search engine friendly descriptions help a lot, even getting your answers from others is a definite plus. Good one there Priya!